Although all archaeologists subscribe in principle to building strong cases in support of their inferences, behavioral archaeology alone has created methodology for developing strong cases in practice. The behavioral version of the strong case approach rests on two main pillars: (1) nomothetic (generalizing) strategies, consisting of research in experimental archaeology, ethnoarchaeology, and long-term processes of behavioral change to produce principles necessary for inference; and (2) the formation processes of supporting evidence when constructing inferences. The chapters employ a wide range of data classes, demonstrating the versatility and productivity of the approach for fashioning rigorous inferences in history, historical archaeology, ethnoarchaeology, and prehistory. 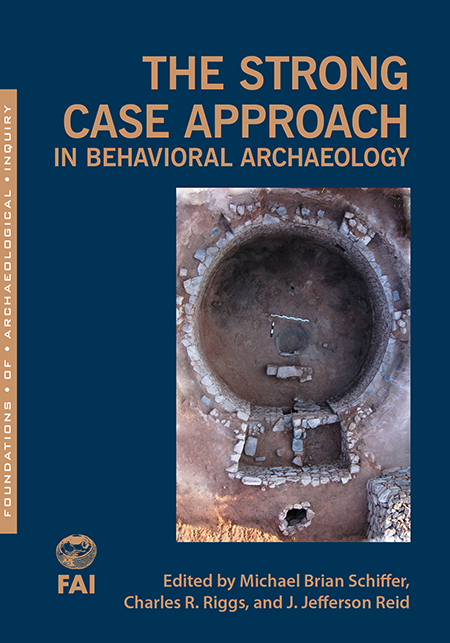 By illustrating the strong case approach with convincing case studies from behavioral archaeology, the editors aim to alert the archaeological community about how the process of archaeological inference can be improved. Michael Brian Schiffer is a research associate at the Lemelson Center, National Museum of American History, the Smithsonian Institution. He is retired from the University of Arizona, where he was the Fred A. Riecker Distinguished Professor of Anthropology. Charles R. Riggs is professor of anthropology and curator of Archaeological Collections at Fort Lewis College in Durango, CO, where he also directs the college’s archaeological field school. J. Jefferson Reid is University Distinguished Professor Emeritus in the School of Anthropology at the University of Arizona, and was director of that university’s archaeological field school at Grasshopper Pueblo from 1979 to 1992.